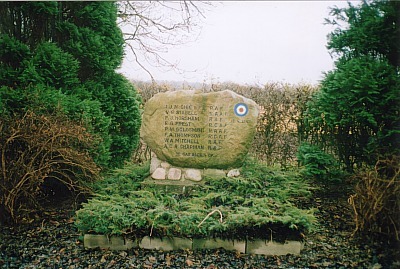 Lancaster III EE117 crashed Ustrup 18/8-1943. 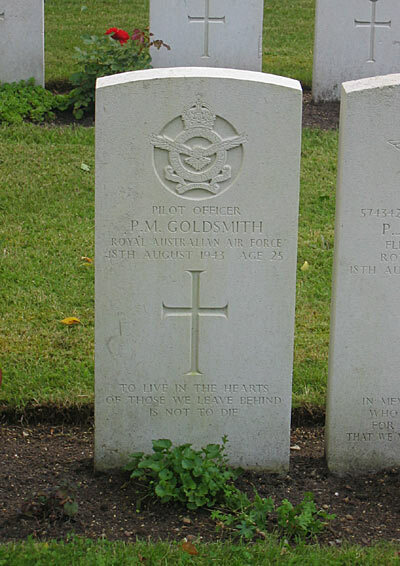 The aircraft belonged to RAF 619 Sqn and was coded PG-L.
T/o 21:51 Woodhall Spa. OP: Peenemünde. While returning over Denmark EE117 was attacked by a Bf 110 night fighter at 3500 metre altitude. The night fighter was crewed by pilot Oberleutnant Hans Meisner and funker Josef Krinner of 2./NJG 3. 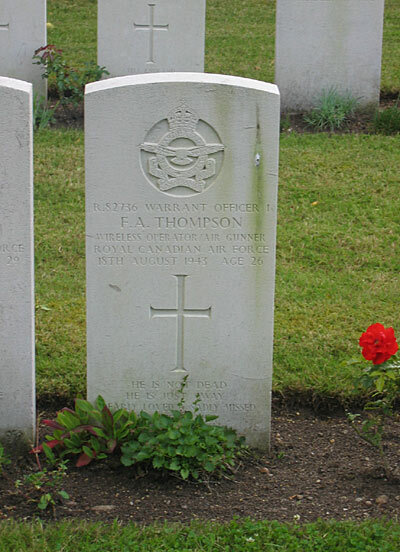 At 03:11 hours the Lancaster fell to the ground in a field near Ustrup, 7 kilometres south west of Haderslev killing all onboard. 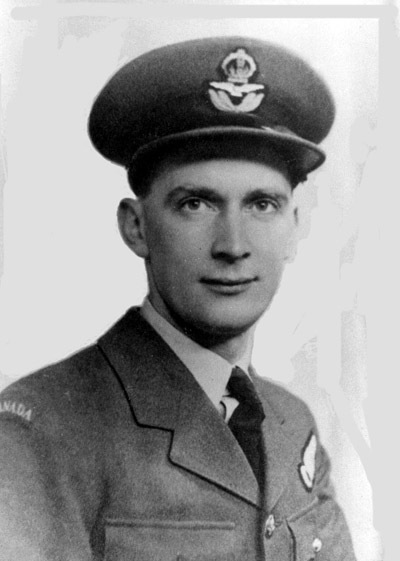 The crew were Pilot Wing Cdr. 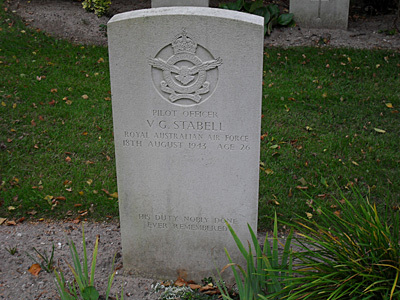 Irwin J. McGhie, P/O Victor G. Stabell RAAF, Flt.Engr. 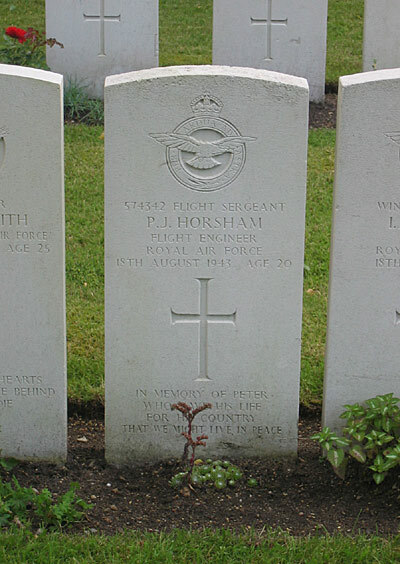 Sgt Peter J. Horsham, Navigator F/O Elmont G. Prest RCAF, Air Bomber P/O Peter M. Goldsmith RAAF, W/Op-Air Gnr. 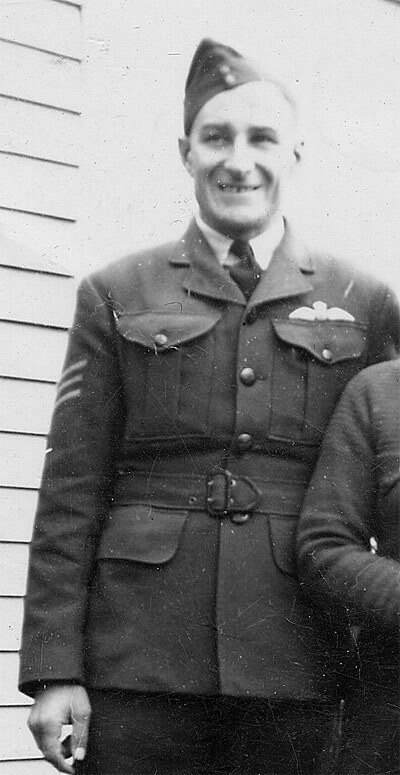 Sgt Ford A. Thompson RCAF, Air Gnr. 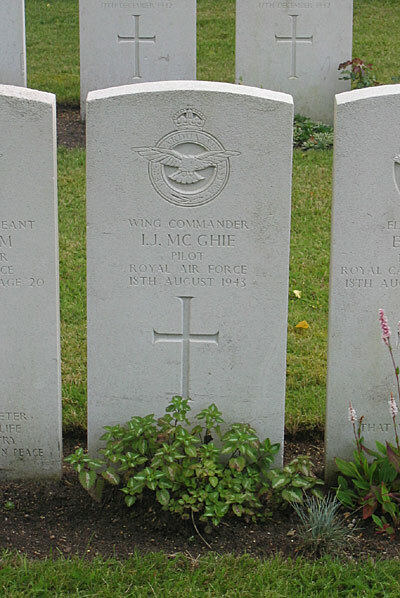 Sgt William A. Mitchell and Air Gnr Sgt Alfred C. Chapman. 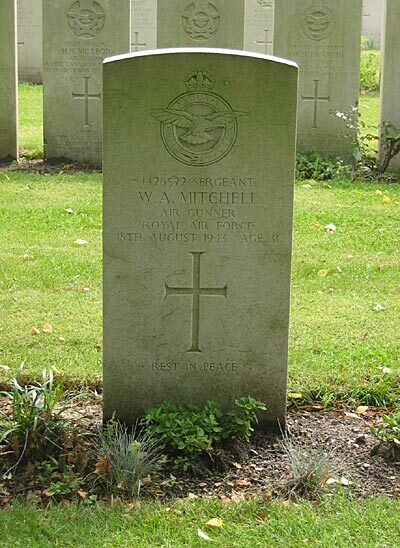 They were all laid to rest in Aabenraa cemetery on 27/8 1943 even thou there is a slight uncertainty concerning Stabell. 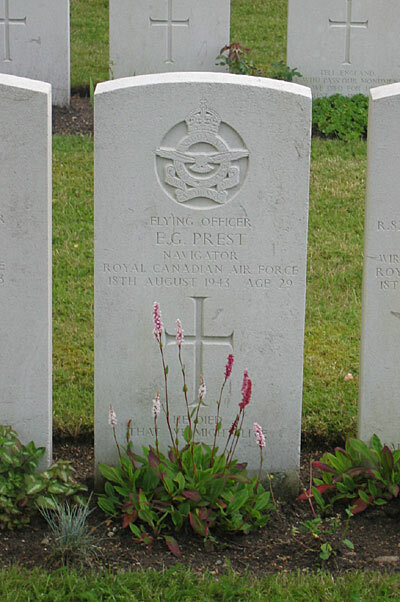 He is recorded to have been laid to rest with his comrades on 21/8 but is then again recorded to have been laid to rest on 27/8 1943. This time in another grave. 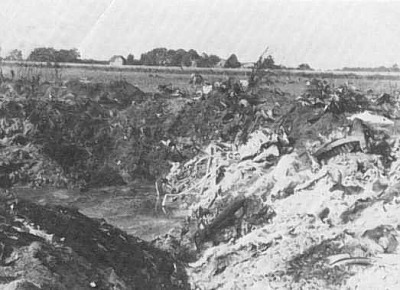 It should be mentioned that the records from the cemetery in Aabenraa were destroyed by the Germans at the end of was. Today only exist a few pages whish had been stolen by a Dane. 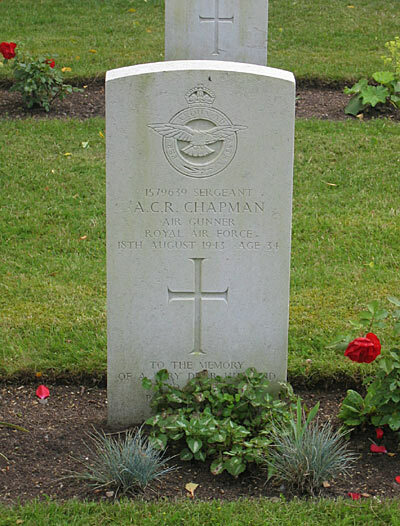 Sources: BA, LBUK, CWGC, BCL, TW.